First thing’s first: What’s with the title,right? Well for this dessert, I had always been calling it “cupcake” until I stared at it one time and realized it didn’t look as cute as those frosting-filled ones. 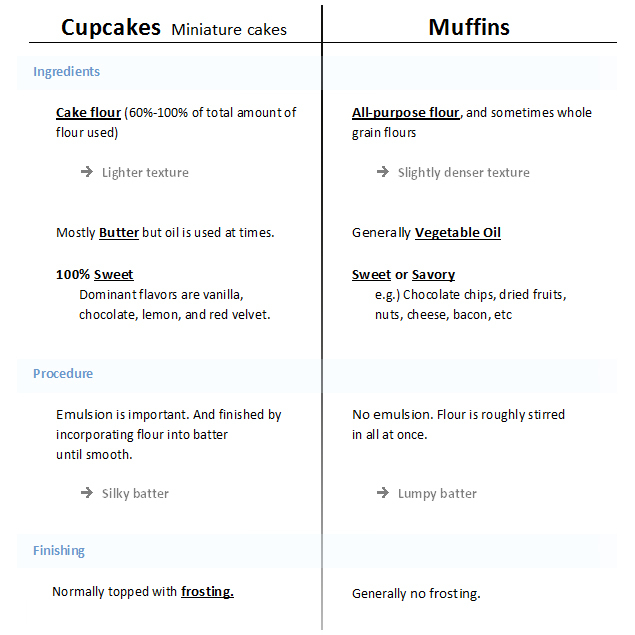 I knew I should have done it in the beginning, but it was only that moment that I decided to quit being lazy and make use of the Internet to identify the difference between cupcakes and muffins. And behold, the many information I’ve gathered! I even came across one amusing (but maybe true, never tried it) differentiation saying that when you throw a cupcake against the wall, you’ll hear the sound “pouf.” A muffin on the other hand will make a “thud” sound. Without throwing anything against anything, this one below is one of the easiest ways to understand it. 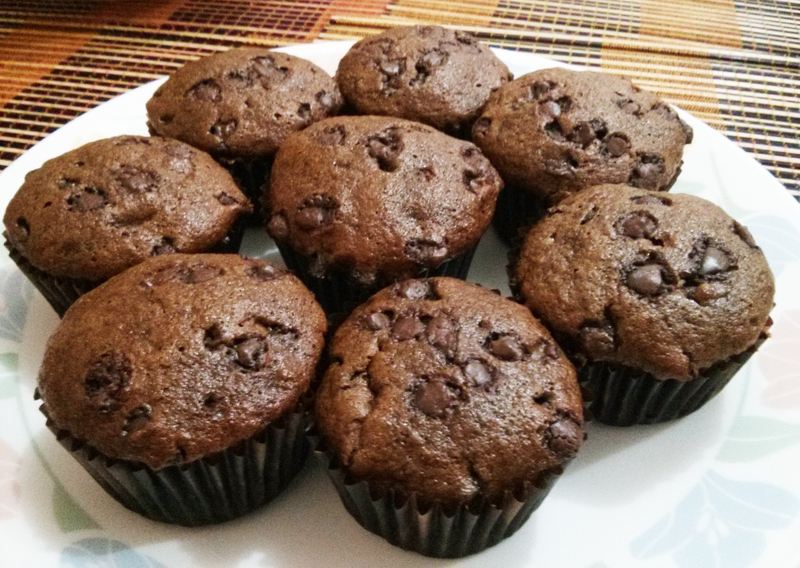 Anyway, on to my Choco Banana Muffins! As I have earlier mentioned, I have only started baking less than two years ago. And most of what I used to bake were just recipes I got from class. Though my parents were big fans of my creations, it started to get boring and I found myself Googling for easy cupcake (See? I always thought they were cupcakes ) recipes, with “easy” as a primary search keyword. I thought about the flavors that I had always been fond of. So when I thought of combining chocolate and banana, it was a light bulb moment for me! Not because I felt that I was about to create an original recipe, but because I knew that I wouldn’t have to spend around $1.50 to get a choco-chip muffin from the coffee shop right outside our office. For a complete amateur like me, the first time I had this was really a special moment. 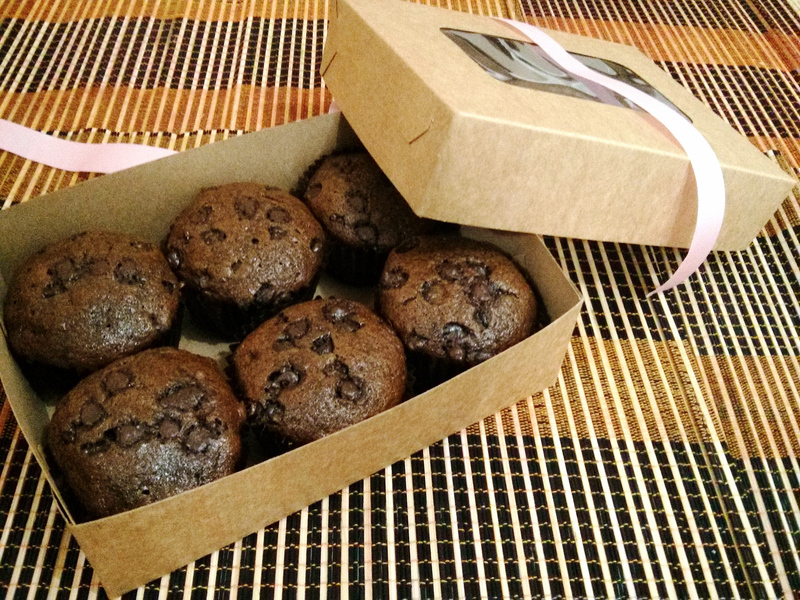 I am not about to provide a recipe of the Choco Banana Muffin. I still feel like I am in no position to do that. After all, I’m just a gal who turned to Google and added a “secret” ingredient or two to the one recipe I chose for this sweet treat. No seriously, you’re better off exploring other sites for recipes. Just try to add a little twist to it so you would still feel like your own little pastry chef!